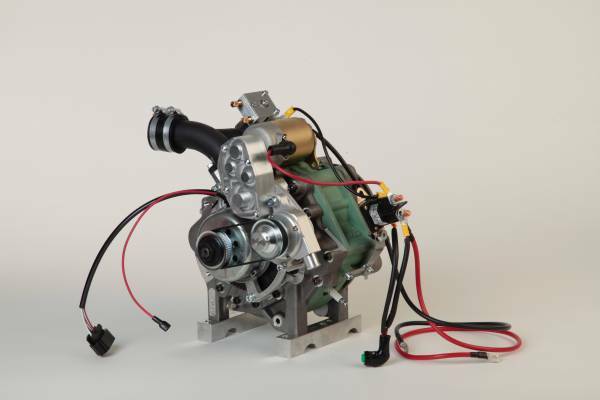 We have been working on Wankel rotary engines since 1996. 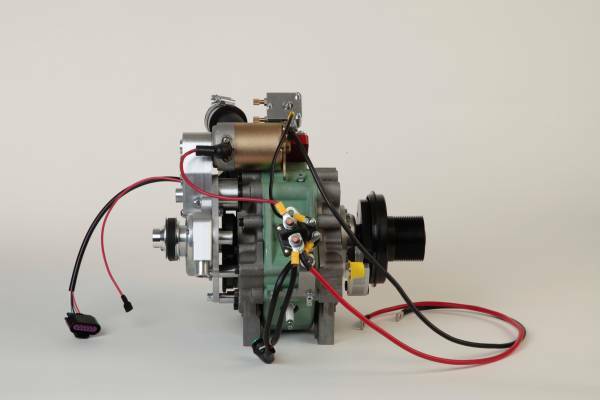 Initially the approach was to make a 4-stroke karting engine that would be more powerful, more reliable and more fun than existing 2-stroke engines, which were about to be banned for emissions reasons. 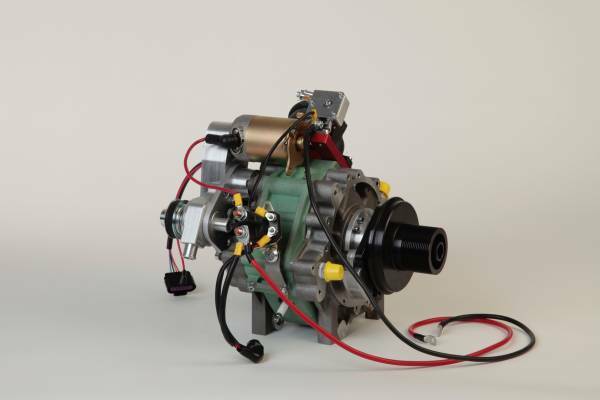 In the meantime our engines are used in a variety of applications beyond karting, for example in manned and unmanned airplanes and helicopters, boats, vehicles of all sorts as well as generators. 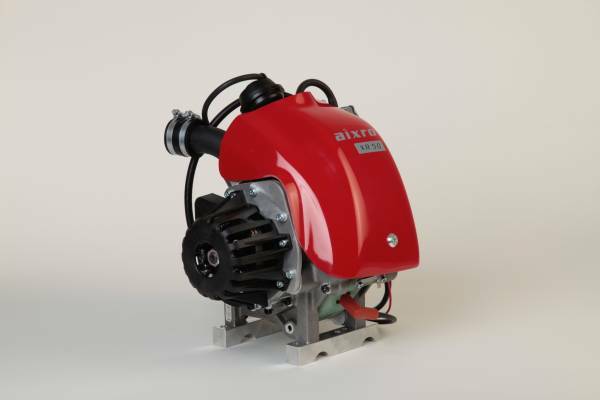 The particular advantages of rotary engines are a lack of vibration due to fully dynamically balanced rotating masses, a very compact design, high performance with a very flat torque curve, as well as low emissions. 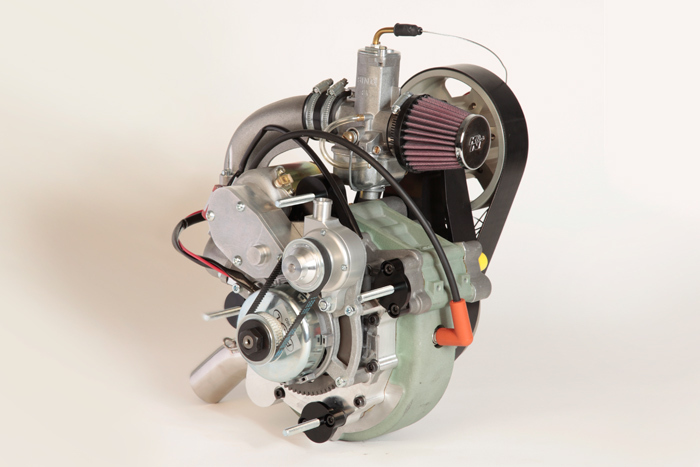 Our engine designs are known and sold under the Aixro brand, which we distribute exclusively. Below is some information on the engines. Further information can be found on www.aixro.com. 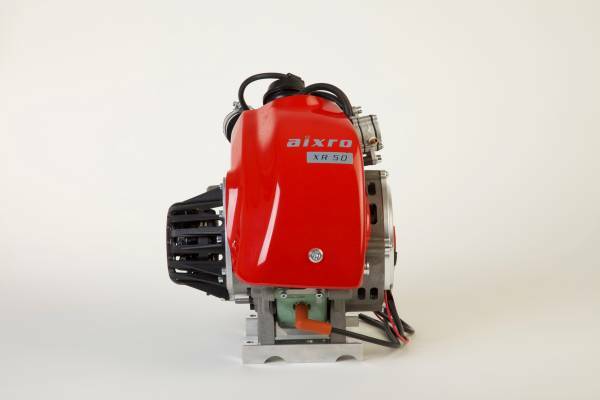 The aixro XF40 is one of aixro’s engine for continuous power supply. 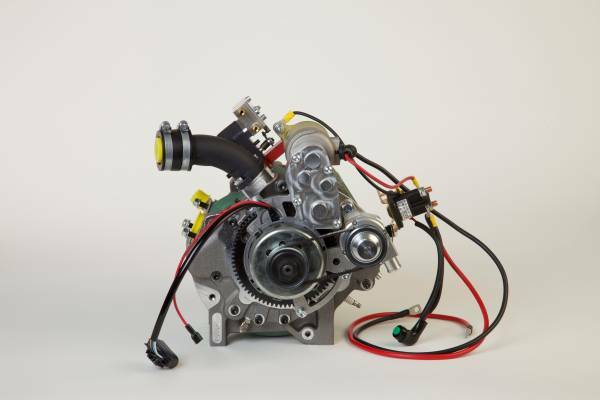 It is now used in various different applications, such as microlight aircraft and paramotor trikes. Besides the standard configuration, several variations are possible, such as different inlet manifolds. 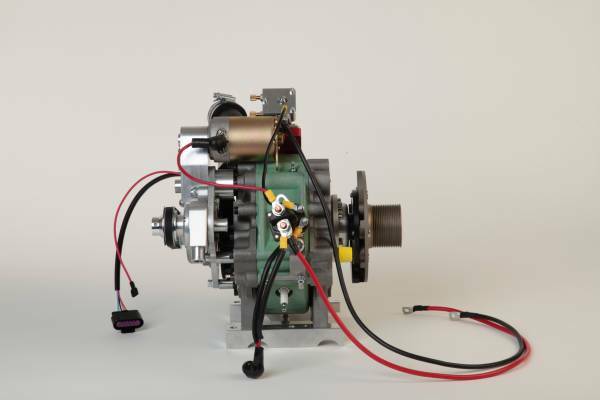 Also, the engine can be mounted in different orientations. The aixro XH40 is the XF40’s sister engine. Instead of a fixed PTO/belt pulley, the XH40 is equipped with a centrifugal clutch. 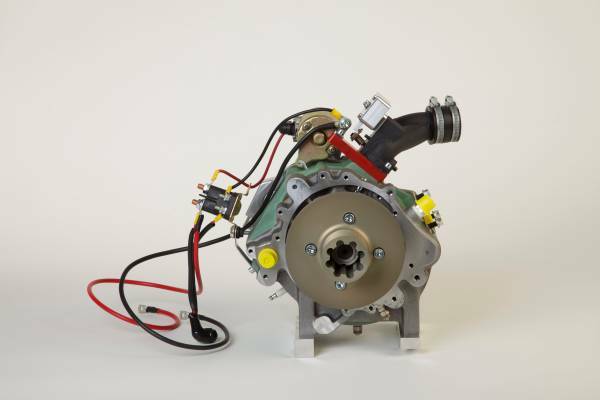 It is often used in helicopters and similar applications, where the clutch is used to decouple the engine from the drivetrain when starting and in idle. 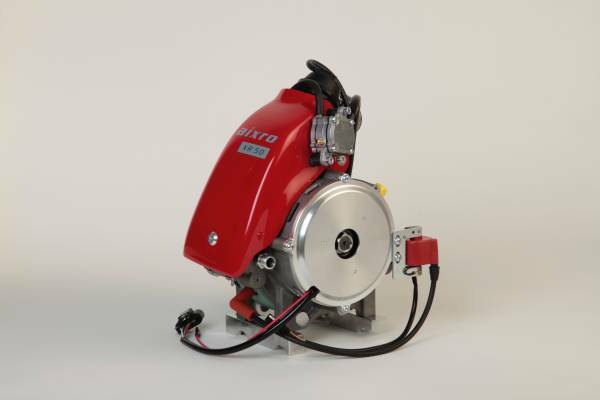 The aixro XP40 uses the same super-robust engine core as the XF40 and XH40, but it has been designed lighter where possible and with four mounting points on the ignition side, which is beneficial for some applications. 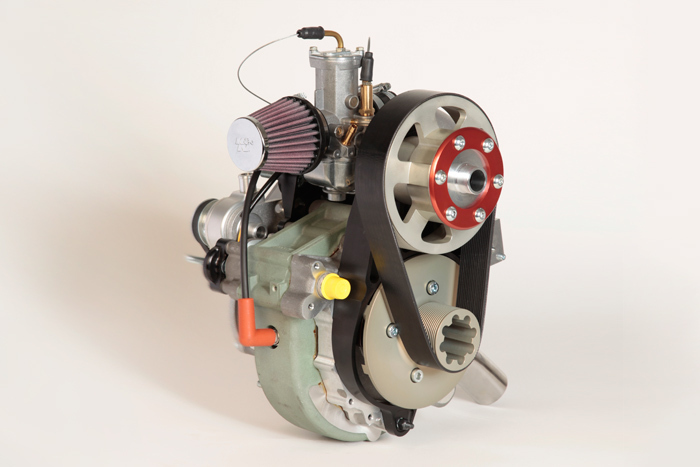 The XP40 is often installed with a compact belt reduction drive. 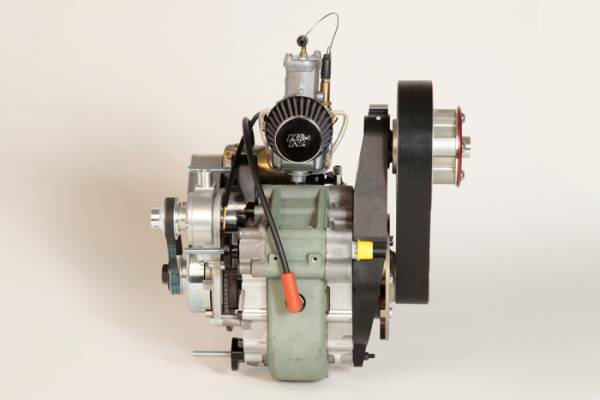 The Aixro XR50 rotary engine is the ultimate karting engine. There has never been such a combination of performance, drivability and reliability in this sport before. Despite its power, the XR50 is very controllable even in wet conditions, and it feels like a classic direct-drive kart. Press reviews describe it as “Absolutely Awesome” (Karting Magazine),”Pocket Rocket” or “Karting Nirvana” (karting1.co.uk).